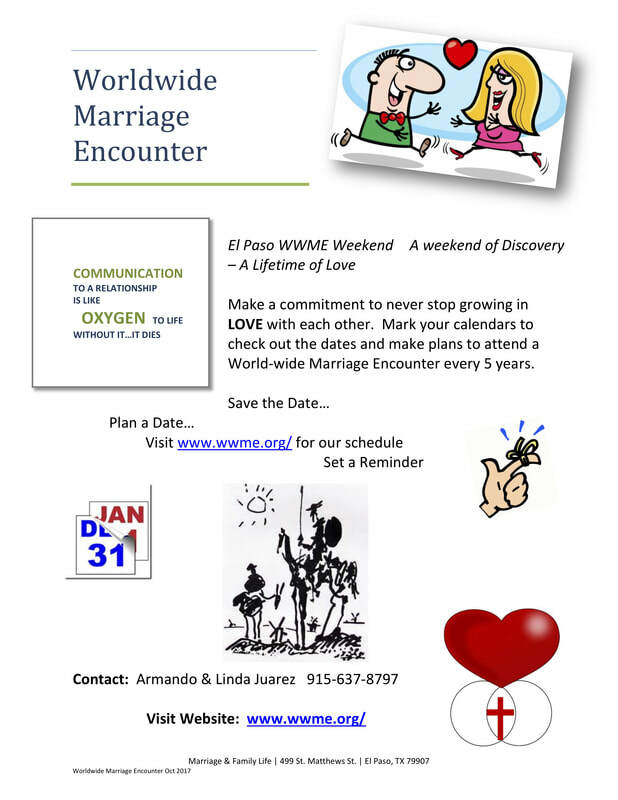 World-wide Marriage Encounter is a second honeymoon experience designed for sacramentally married couples seeking renewal and rejuvenation in their marriage. A loving communication technique called “dialogue” will be taught and encouraged. The presenting team consists of three married couples and a priest sharing on their love for marriage and Christ. Follow up to the weekend consists of community gatherings and small home-based gatherings called ‘circles’. A deeper experience is also offered, called ‘spiral’.